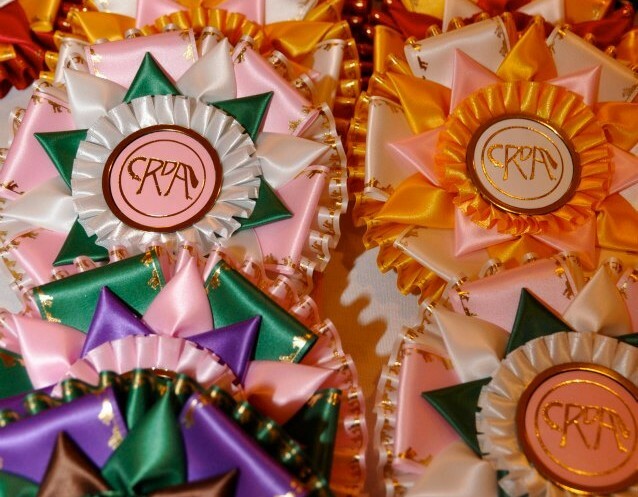 “Words are only words until you associate them with something physical” Heather Blitz explained to Charles River Dressage Association members attending the Annual Year End Meeting held at Cutler Farm in Medfield, Mass. The symposium and demonstration by Blitz, a US Olympic team reserve and Pan Am Gold Medalist, was held for a members-only audience prior to association business. Not only did Heather get us to thinking about how to improve our riding technique, she got us thinking about how to better communicate. Much is written about horse and rider communication but what about rider and instructor communication? When do words help and when do they hold us back? As an example, Heather talked about how instructors use the word “throughness” yet many riders do not necessarily understand the word’s meaning. Having an instructor demand “more throughness” when the student does not fully understand the concept can be deeply frustrating. It is the instructor’s responsibility to break down these concepts into smaller steps. Heather discusses some of the terminology used to describe rider position with attendees. 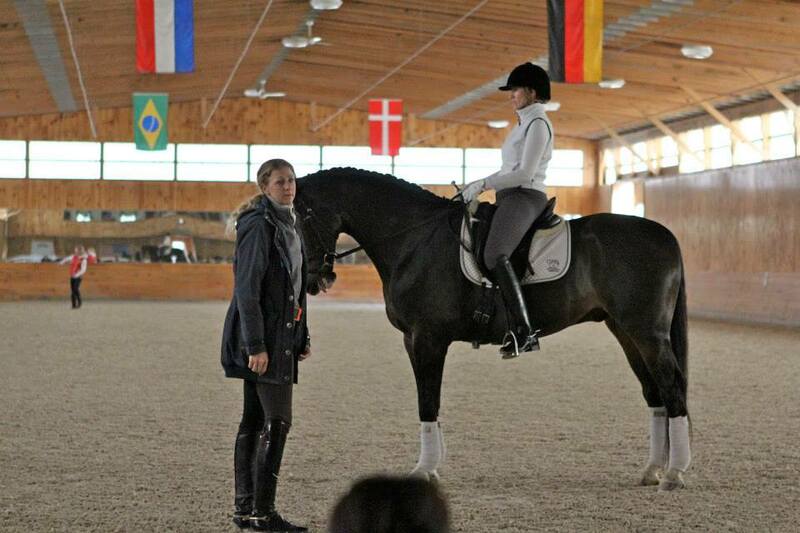 Heather’s approach is to ask the riders to self evaluate their riding through a series of questions. There are no incorrect answers because Heather was most interested in the rider’s perception of their own riding. From these answers combined with her own observations, Heather developed a riding plan for the rider that would be most productive in that moment. It was interesting to watch as these students began to explore where “center” and “straight” were in the saddle and began to better understand their seat position through a series of words that were better defined. Words that now had meaning to the rider. At the end of the demonstrations, the riders were asked to describe what they felt. Heather explained that it was essential to the learning process that students verbalize what they had learned so they could take better ownership of the skills they gained. But what about nervous riders with anxiety issues who might find it difficult to express their fears to their instructors? CRDA members were among those invited to Cutler Farm for an open seminar regarding the subject of overcoming anxiety. She recommended that riders talk to their instructor about what their fears are. Students should be clear about what their comfort zone is as well as what areas of their riding they would like to feel more confident about that may lie just outside their comfort zone. This can help provide focus to the training plan as well as give students a sense of control. 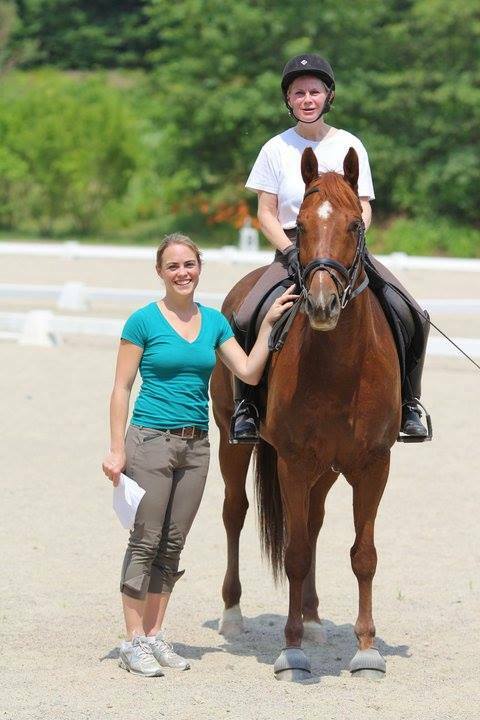 Meredith combines her passions as a social worker and equestrian to assist riders with anxiety issues. As for instructors, recognizing a student’s anxiety level is critical to effectively guiding them through these times of stress. “This does not mean that any time a student gets nervous you have to stop the exercise—but know the difference between a student on the edge of the learning zone and one that has entered into fear” says Meredith. “Plan to push your student when circumstances are set up for success.” She went on to suggest techniques for reducing high anxiety so that students can return to a state of learning including meditation and visualization. Effective communication is key to building positive learning experiences between instructors and students. For more information on Heather Blitz, visit her site www.heatherblitz.info. For more information on Anxiety and Riding, contact Meredith Brisson at merbrisson@gmail.com.